I am a Senior Lecturer in Economics at the JE Cairnes School of Business and Economics at NUI Galway. I completed my doctoral studies in 2008, where my work focussed on the valuation of environmental public goods using econometric, spatial microsimulation and GIS techniques. I hold a primary degree in Actuarial and Financial Studies and an MA in Economics from University College Dublin (UCD), as well as an MSc in Econometrics and Mathematical Economics from the London School of Economics. I was a Visiting Scholar at the University of California, Berkeley in 2008 and a Visiting Researcher at the University of Wisconsin-Madison in 2015. 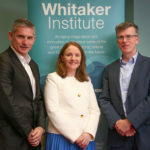 I previously held lecturing positions at the University of Limerick, NUI Maynooth, and UCD, and have worked at the European Bank for Reconstruction and Development (EBRD) in London and with Indecon Economic Consultants' Public Policy Division. I received a President's Award for Excellence in Teaching in 2016 and a President's Award for Excellence in Research in 2017. I am currently Policy Section Editor of The Economic and Social Review. I am an applied economist with research interests in the areas of health, disability, higher education and natural resources. My research generally involves the application of econometric and spatial modelling techniques to address issues in these fields, with a specific focus on public policy issues and evidence-based policy. The common theme in my research is a focus on the causes and consequences of health, socio-economic and spatial outcomes and inequalities. (2017) Economic Insights on Higher Education Policy in Ireland: Evidence from a Public System. (2015) The Economics of Disability: Insights from Irish Research. (2012) Deprivation and its measurement in later life: findings from a mixed-methods study in Ireland.